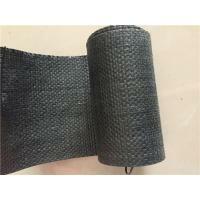 Garden cloth is a film mulching material which high density woven by UV resistant polypropylene flat silk, with feature of friction resistant and anti-aging. 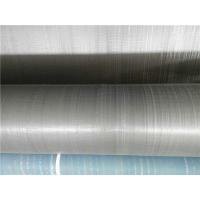 It is also known as anti grass cloth, ground woven film and surface protective film. The main for the weed prevention, drainage, keep the ground clean, ground marking and guiding purpose. Horticultural mulch measures have been applied to a variety of fruit trees such as grapes, pears, oranges and so on. Mulch can inhibit weed growth in orchards, maintain soil moisture, and reduce management labor costs. its main role is to increase the light level in the greenhouse, in order to promote the photosynthesis of plants, at the same time, the reflection of the white cloth of light can also reduce the greenhouse ground heat accumulation, reduce the ground temperature at the same time, through the reflection, can stop behind the greenhouse fruit tree leaves unlike insect survival, reduce crop diseases. As a result, white cloth is often used in greenhouses where light requirements are relatively high. 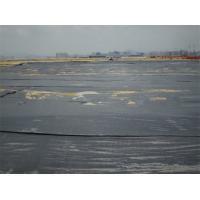 The main function of cloth is ground protection, weed suppression, so its service life should have certain requirements, otherwise, the material damage will directly affect the drainage, weed suppression and other functions, from the production investment and benefit perspective, the material price (life / price) should be greater than 2. Generally, the service life of the cloth can reach more than 3 years. 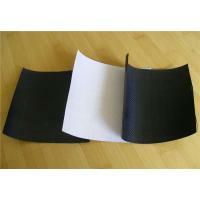 The gardening cloth is not only labor-saving and labor-saving, but also easy to lay and operate. 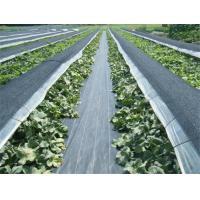 Only when the laying of trees along the lines of planting gardening cloth, will be covered in fruit nutrition belt (with the vertical projection of the perimeter of the canopy), spreading flat, finally covered in clods on the edge, can be fixed, also be made of cloth buckle, fixed, prevent wind blow. 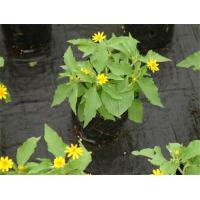 Indoors and outdoors plant, farms, greenhouse. others Width and length can be customized by clients. all the information can be consulted,clients can order according to actually design. 1,Strength: Higher tensile strength at 2% and 5% than any comparable stabilization product. 2,Flow: Uniform opening provide the same fitration and flow characteristics as that of a fine to coarse sand layer. 3,Soil ineraction: Excellent soil confinement resulting in greater load distribution. 4,Seams: Panels can be sewn together in the factory or field, providing cross-roll direction strength to facilitate installation and providing reinforcement strength. 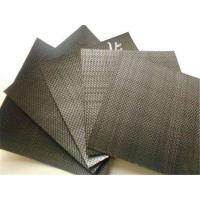 5,Cost:Woven reinforcement geotextiles provide low cost tensile strength for reinforced soil structures. JINDEXIN develops and produces materials that function to increase performance, reduce costs and deliver measurable results by working with our customers to provide advanced solutions. 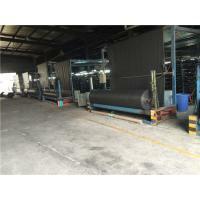 Anping County Jindexin Metal Products Co., Ltd, as a leading manufacturer of metal wire and metal wire mesh in China, has 10 years experience of production and exporting. Our products are manufactured under strict observation of the ISO9001. 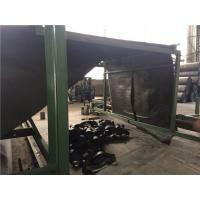 the company is covers an area of 10,000m2,and has more than 100 employees and technicians. The annual production capability is 5 million m2.Our company is provided with complete rational and advanced equipment for the whole manufacturing process from knitting to testing. We provide products including the Gabion, Gabion Box, Perforated Metal, Welded Wire Mesh, Chain Link Fence, Crimped Wire Mesh, Window Screening, Square Wire Mesh, Expanded Sheet, Barbed Wire, Razor Wire, Galvanized Wire, Black Annealed Wire and so on, which are widely used in construction, chemical, mining, petroleum, medication etc. Anping County Jindexin Metal Products Co., Ltd follows the faith of Faithfulness, Mutual Benefit. in doing business and tries to provide quality products and excellent services for our customers. We now export products to USA, Italy, Europe, Middle East and other counties. We would like to establish good business relationship with you. Enterprise Spirit: Good Faith, Innovation, Honor, be practical. Enterprise Tenet: take the good faith as the basis, Seek survival with servic.